Our World in Data’s SDG Tracker is the first resource where users can track and explore global and country-level progress towards each of the 17 Sustainable Development Goals through interactive data visualizations. This resource is kept up-to-date with all of the latest data across all of the 17 Goals. In 2015 the world set a new sustainable development agenda, pledging within the United Nations (UN) to achieve 17 development goals by 2030: The Sustainable Development Goals (also known as The Global Goals). Ranging from eradicating poverty, to ensuring clean energy for all, to reaching sustainable levels of consumption, the array of targets across these goals were selected to drive our efforts in the 15 years up to 2030. The breadth of the 17 goals, their 169 targets and 232 indicators mean all countries face a significant challenge (domestically, as well as internationally) in delivering these commitments. This inclusiveness was also intended to extend beyond national-level contributions; the scope of the SDGs should mean that everyone has a role to play. This extends from policymakers, through researchers, teachers, businesses, and the general public. Engagement with the SDGs and their potential requires us to tell stories: the narratives of lives across the world as they are now, and what we aspire for them to be. Beyond that, we need to understand how everyone’s stories weave together to provide a landscape of living conditions across the world. To explore where we are now, and how far we have to go by 2030, we need interactive and engaging data. Metrics must be specific to the SDG indicators, but presented in such a way that everyone can engage. As an integrated project of Our World in Data, we therefore built this SDG Tracker—the first project of its kind to track the latest data across all of the 17 SDGs. This serves an interactive hub where users can explore and track progress across all of the SDG indicators for which there is data available. This seemed like a crucial project to launch. Yet no other organisation to date has launched a similar platform. There are many resources where users can either download data for specific indicators or explore data for specific goals or targets (for example, FAO, UNESCO, IHME, WHO JMP, and IEA), but none which brings together data across all of the 17 Goals in a user-friendly interactive format. This is largely the result of organisational and disciplinary silos where particular institutions can cover data for particular aspects of the goals. As an independent resource we are free from such silos or barriers: our role is to provide a central hub for all 17 Goals using data from a range of primary sources. At our SDG Tracker users can explore progress on all of the SDG indicators for which data is available (some of the official targets do not) at the global, regional and country-level. Where global maps are provided, clicking on a given country will show you a time-series of how a given metric (for example, childhood stunting) has changed over time. You can also add countries to this chart to compare progress across neighbours, regions and worldwide. All of the data we use at our tracker is sourced from official, high-quality sources including the UN, World Bank, World Health Organization, Institute for Health Metrics and Evaluation, WHO JMP, UNESCO, UN Food and Agriculture Organization, amongst others. All of our metrics should be updated from these sources in real-time; as soon as the latest data is available for a given indicator, it will automatically update on our interface (data releases tend to be on an annual basis). We therefore hope to always have the most up-to-date resource available to track our progress through to 2030. All of our data is downloadable, and maps and charts are open-access; everyone is free to use and adapt these resources as they wish. We hope they provide a valuable resource which supports the UN, and the work of the many organizations, researchers, teachers and learners working towards the SDGs. We have already received many emails and feedback from teachers and organizations making use of this new tracker. Across each of the 17 Goals, where appropriate we also link back to specific entries or resources at the Our World in Data (OWID) website, where you can find more information and longer-term data on all aspects of development. To inspire participation and concerted effort towards the SDGs, it’s essential that people understand how the world has changed, as it stands today, and the progress we must make to achieve our targets. Without data, it’s impossible to assess any of these elements. We will walk blindly through the next 10-15 years with no sense of our progress. Without interactive and engaging presentation of this data, we will not get the level of global participation and inclusivity we need to make it happen. The SDG-Tracker is a joint collaborative effort between researchers at the University of Oxford and the Global Change Data Lab. The Global Change Data Lab publishes Our World in Data and the research team is based at the Oxford Martin Programme on Global Development at Oxford. Citation: Ritchie, Roser, Mispy, Ortiz-Ospina. "Measuring progress towards the Sustainable Development Goals." 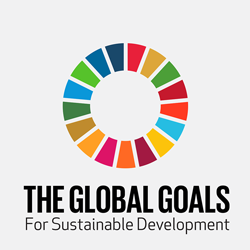 SDG-Tracker.org, website (2018).